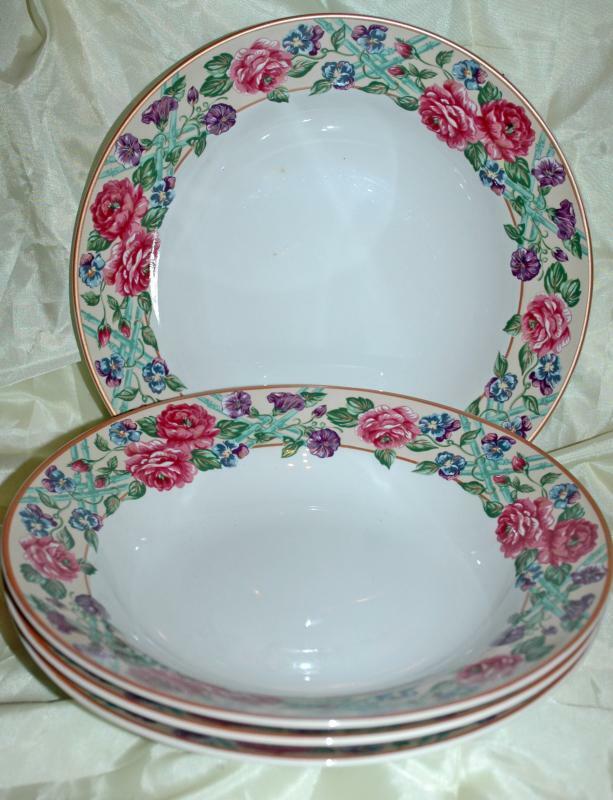 FITZ & FLOYD/OMNIBUS BRITTANY LOT/4 SOUP BOWLS ROSES. 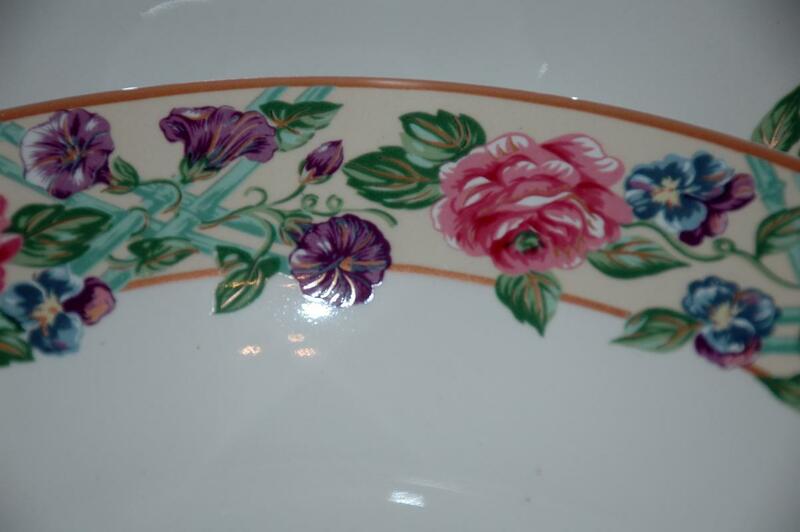 The "Brittany" pattern by the Omnibus Division of Fitz and Floyd has a border of red roses and purple and blue morning glories on a green trellis. The rim is painted gold. 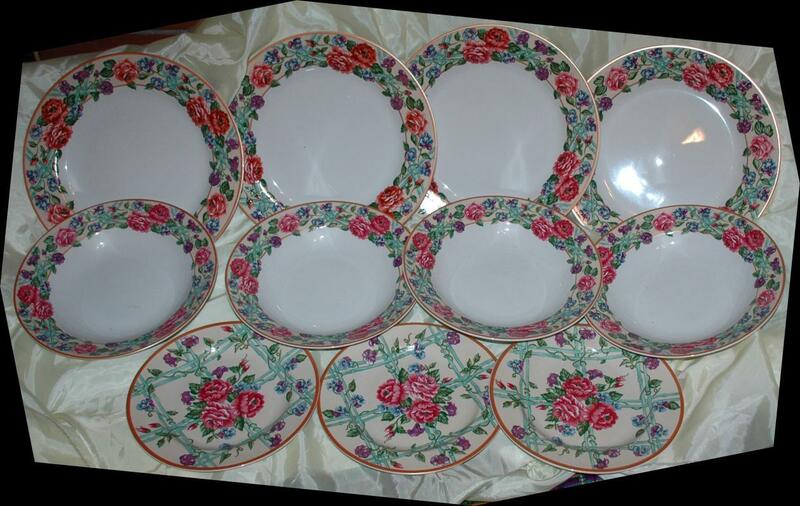 The four dinner plates are pretty pieces with minimal if any usage marks, no chips or cracks, like new condition. I had an incomplete set that came in the original box that I am parting out. There are matching soup bowl on another lot. Items Similar To "FITZ & FLOYD/OMNIBUS BRITTANY LOT/4 SOUP BOWLS ROSES"